There are few things in life that can jolt memories as distinctly as the aromas and flavors of past meals savored. Hawaiian cuisine, while inspired by its mix of immigrant cultures, is full of unmistakable combinations of one-of-a-kind tastes. When visiting Hawaii, whether island hopping or taking a long weekend to unplug along Waikiki, you shouldn’t miss out on delighting in these notable bites. You’ve heard of it. It’s the quintessential Hawaiian dish everyone mentions the second you say you’re going to a luau. But what is it? It’s created simply by steaming or baking the root of a taro plant and pounding until smooth. It is then thinned with water and made into a mildly purple paste that is slightly sweet. The fresher the poi, the more delicate the taste as the finished dish has a natural fermentation that will cause it to take on a sour flavor. 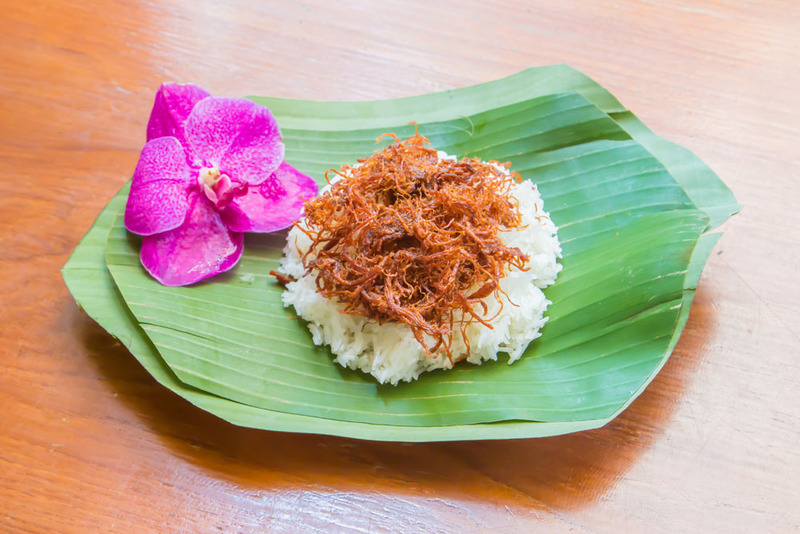 Poi is served in various consistencies; “one-finger,” “two-finger,” or “three-finger,” which refers to how many fingers are required to scoop it up. Look for a subtly sweet, three-finger poi served at Paradise Cove Luau on Oahu. Another icon of the luau: the underground roasted whole pig. Many cultures use the underground oven (“imu” in Hawaiian) cooking technique along with celebratory feasts incorporating the dramatic unearthing from the oven as part of the ceremony. The meat that is cooked in an imu will absorb the flavors of the elements used in the pit: mesquite or koa wood, banana and/or ti leaves, as well as the surrounding soil, creating a unique final result. Once removed from the imu, the pork meat is shredded, allowing the juices and fat to mix in for the utmost moisture. Enjoy a hearty helping at the Old Lahaina Lu’au or as a pupu (appetizer) in Merriman’s Kapalua Kalua Pig and Sweet Onion Quesadilla, both found on Maui. 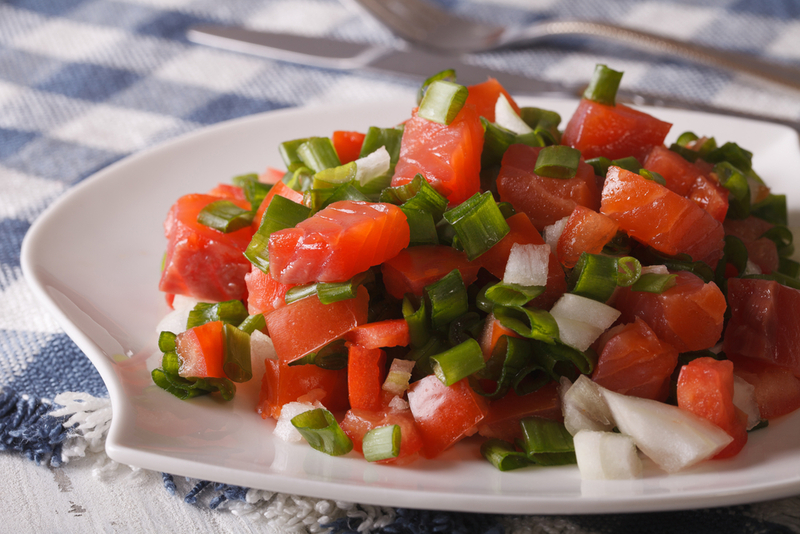 Refreshing and rich, this salad is made of raw, salted salmon diced roughly and tossed with tomatoes and Maui sweet onions, then spiced with chili peppers. It’s perhaps a recipe that could be easily assembled in a home kitchen, but it could never taste as remarkably fresh as it does on the islands. Save room for it on your plate at the luau buffet. Hawaiians know how to grill chicken. A sweet basting of huli huli sauce entices the flames of the grill to create a delicate char that makes you come back for more. 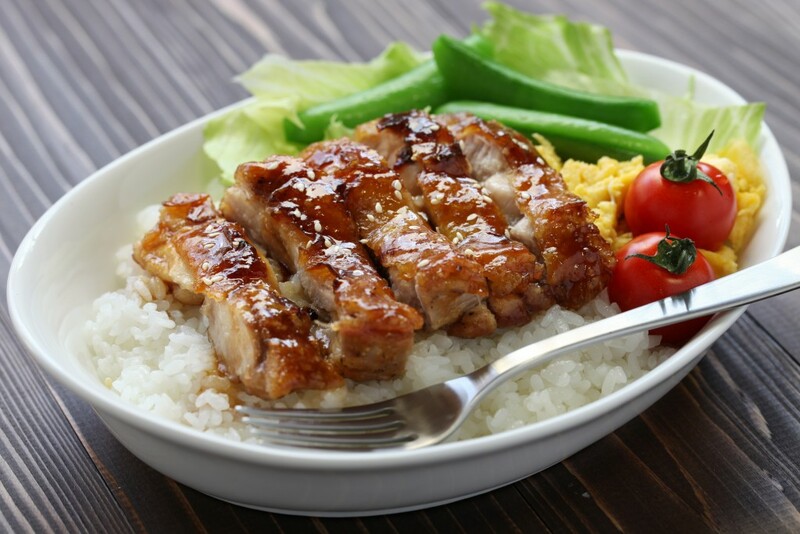 A flavorful condiment made from a mix of soy sauce, pineapple juice, brown sugar, sesame oil, ginger, garlic, and Worcestershire sauce make this a kicked-up teriyaki-esque dish like no other. It’s a go-to dinner at Duke’s Waikiki at Outrigger Waikiki Beach Resort on Oahu. A ridiculously basic bite built out of just a few ingredients; furikaki (a staple spice in Japanese kitchens) is flavored rice shaped into a block topped with a slice of fried spam wrapped tight with a sheet of dried nori. 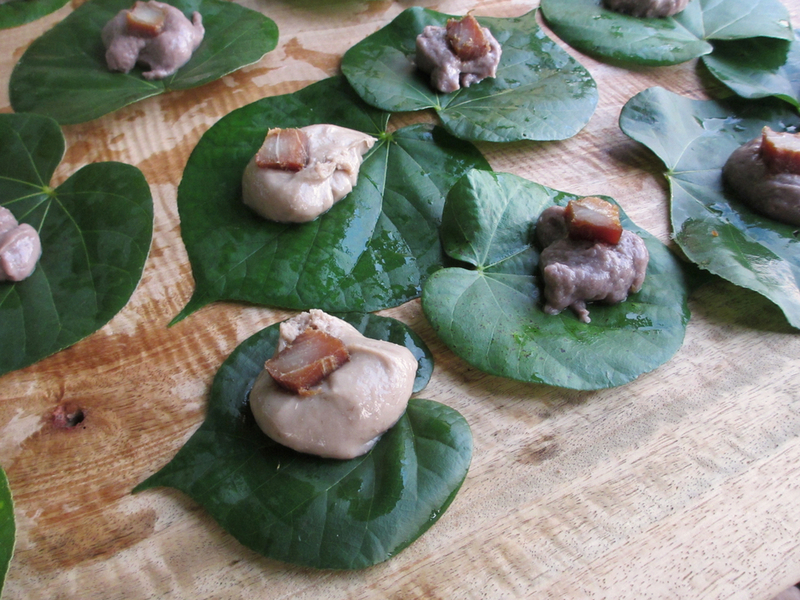 It’s a snack or a whole meal and one of the most easily found Hawaiian delicacies on the islands. 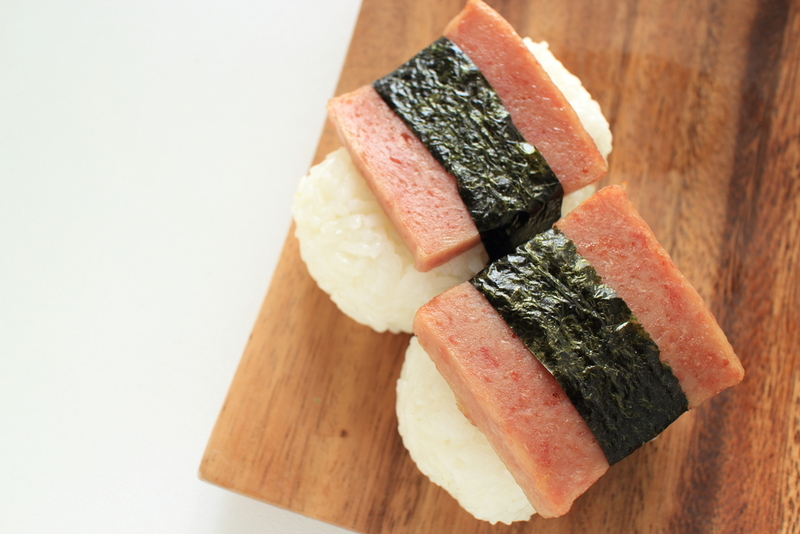 While the final creation may resemble a precious piece of sushi, Spam Musubi can be found at most convenience stores for a quick grab and go. For those wanting to taste multiple variations on this classic as well as enjoy a food festival for the adventurous palate, an afternoon at the annual Spam Jam in Honolulu is a must-do. 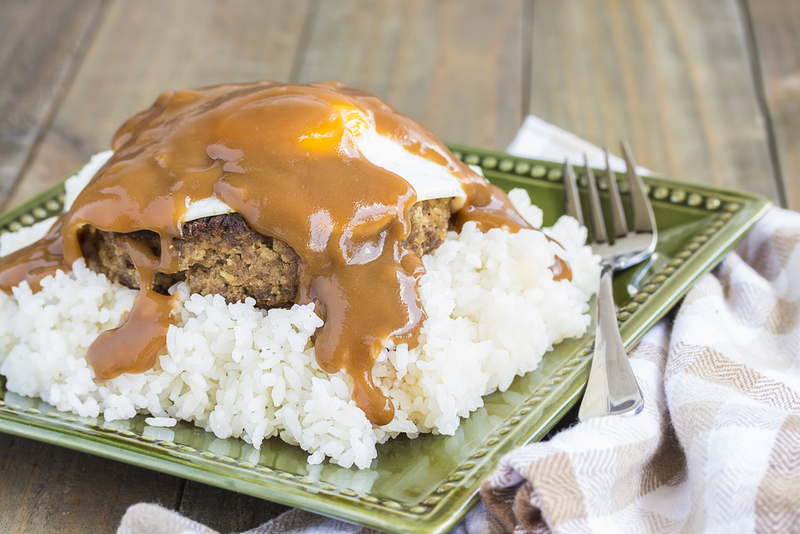 Another uncomplicated local creation that can be found in cafés and food trucks, yet can also be transformed by chefs in multiple ways—the original is a plate lunch of white rice topped with a hamburger patty layered with a fried egg and given a pouring of brown gravy. It’s homestyle, comfort, hangover food at its core and satisfies no matter the time of day. On the Big Island you’ve got to go to the “Home of the Loco Moco.” For over 50 years, Café 100 in Hilo has been bringing it to the table and now serves over 30 loco dishes. 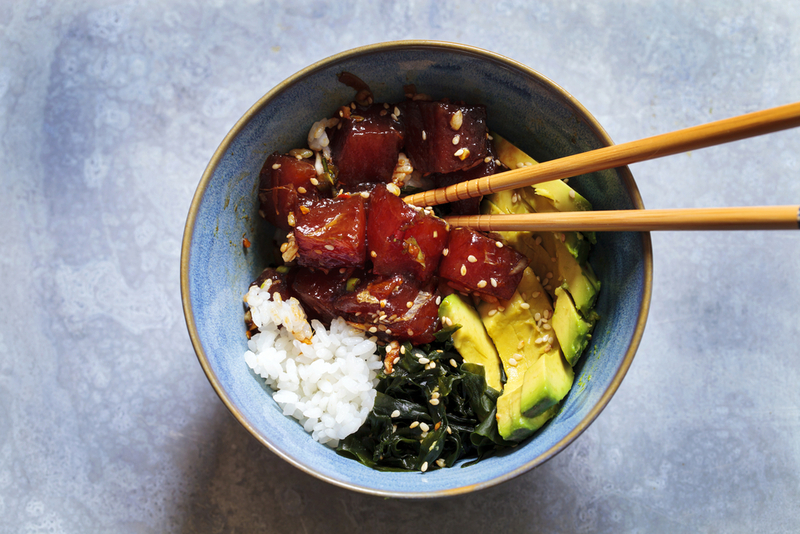 Pronounced “poh-kay,” it’s raw, diced ahi tuna seasoned with salty soy sauce and tossed with finely chopped seaweed, usually layered in a bowl with rice and finished with additions of cubed avocado and mixed with a spicy mayo, or sprinkled with sesame seeds. You’ll find it served up at delis, in the prepared food aisle of grocery stores, and scooped handily at food trucks. Known for its freshness (which is key), Umekes Fish Market Bar and Grill, with two locations in Kailua-Kona, serves it up perfectly. So, we give you the Mai Tai. Sipping a Mai Tai at a beachfront café at sunset while the ukulele player strums a soothing melody – a Hawaiian Vacation Win. For years to come you will be brought back to the islands whenever your taste buds spike to the tartness of fresh tropical fruit juices combined with the warm spiciness of the caramel rich rum. 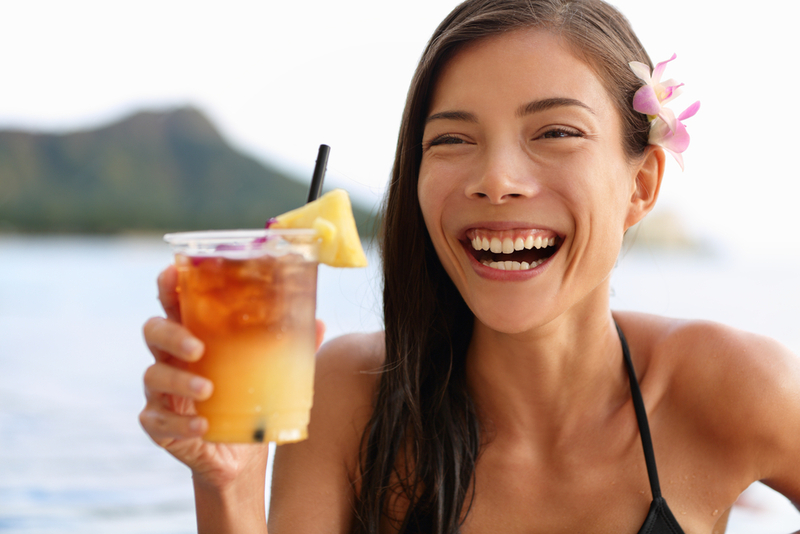 Every mixologist in the islands puts their stamp on a personal version of a “Mai Tai” with subtle twists, but for sipping with an iconic view of Diamond Head in a legendary spot, we send you confidently to the Royal Hawaiian Mai Tai Bar on Waikiki. Now that your mouth is watering, it’s time to plan your own Hawaiian vacation and food journey. Contact your travel agent today.